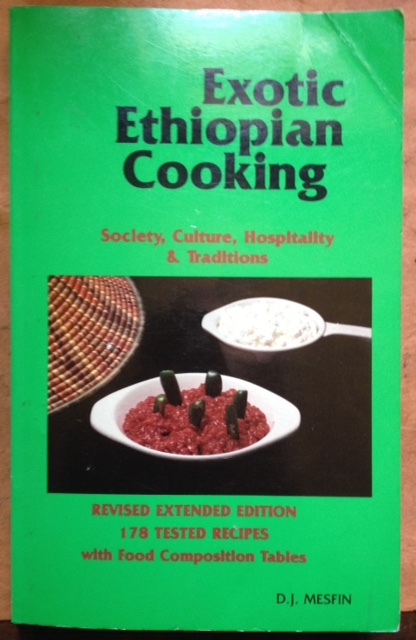 compiled and edited by Daniel J. Mesfin, Ethiopian Cookbook Enterprise Publishing, revised 1990 edition of the 1987 publication. Contains 178 tested recipes plus essays on Ethiopian “society, culture, hospitality and traditions.” Trade paperback green slick covers with insert of color photo dish presentatons, 258 pages. 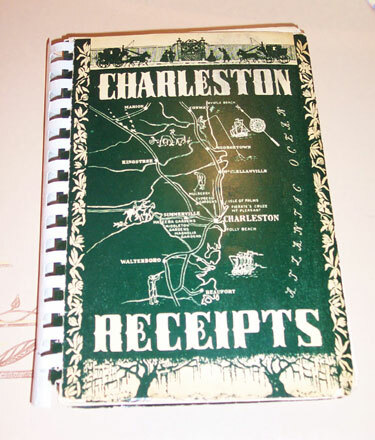 Extensive recipes for fish, meat, fowl, grain and vegetables, as well as drinks and condiments. The names of dishes are given in Amharic and English. There are color presentation photos of dishes from Ethiopian restaurants in the MD-DC-VA metro area, New York City, San Francisco, Detroit, and Los Angeles, so it appears that editor Mesfin did his homework getting and comparing recipes from the chefs in those restaurants. While some dishes are straight up and require no special ingredients, many do, and this excellent book is probably best used by someone a bit familiar with Ethiopian food, and with an Ethiopian food store in their town or city. Condition: Small crease in cover, but still VG+.